The regional format of my Windows 7 PC is set to “Dutch (Belgium)”. This means that some programs will display error or other messages in Dutch, which can be a problem when you need to look up information on the internet. ORA-06502: PL/SQL: numerieke fout of fout in waarde . 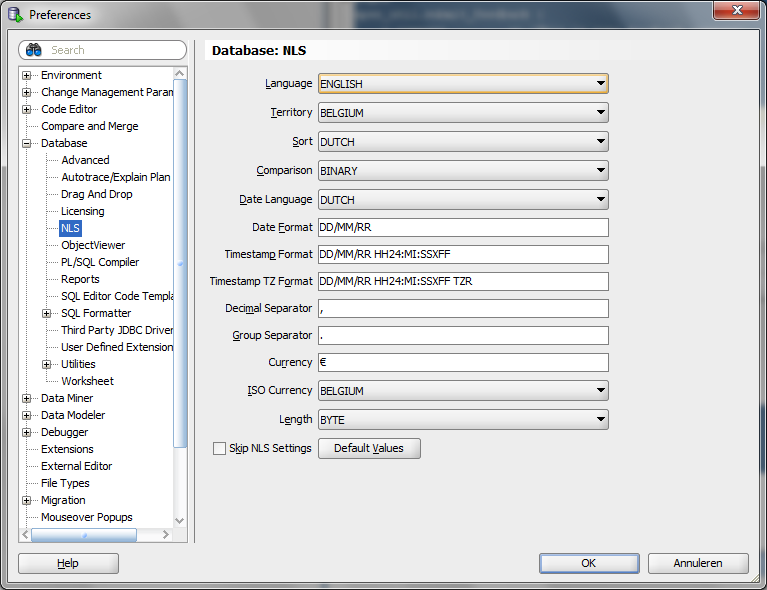 To change this into another language, you need to modify the NLS “Language” setting in SQL Developer. You can do this from the “Tools” menu, then “Preferences”, “Database” and “NLS”. Change the language in the first drop down list (“Language”). Once you click “OK”, the changes take immediate effect. You don’t need to restart SQL Developer.